Minimum project capacity is 10 MW whilst maximum capacity is 2,000 MW. 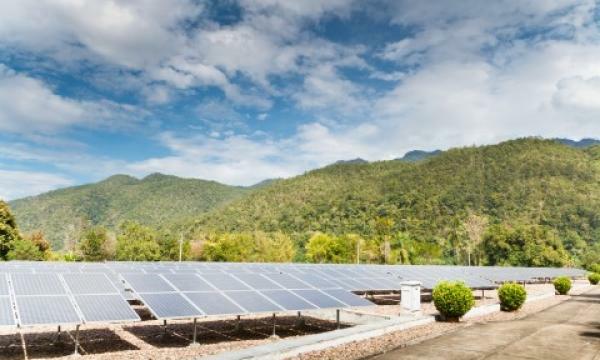 The Solar Energy Corporation of India (SECI) has issued a request for selection (RfS) for the setting up of 2,000MW of grid-connected solar photovoltaic (PV) power projects in India (Tranche I) under the second phase of the Central Public Sector Undertaking (CPSU) program, an announcement revealed. Solar power developers (SPDs) selected by SECI based on the RfS will set up solar PV projects on a build-own-operate (BOO) basis. Solar PV Power projects are required to be designed for inter-connection with the grid at voltage level as specified by the SPD. “For each project, the minimum project capacity shall be 10MW and the maximum capacity shall be 2,000 MW. The project capacity shall remain in multiples of 10MW only,” SECI underlined in its announcement, adding that the projects can be located anywhere in India. Respective projects can be subdivided into a number of blocks set up at multiple locations, if required. For single projects however, blocks must be located within the same state. Each block’s minimum capacity is capped at 20MW. The net worth of each bidder should be more than $18m (INR12.5m) per MW in the last financial year to be eligible to bid. The scheduled commissioning date of the full capacity of the project will be 18 months from the date of issuance of Letter of Award (LoA), which can be extended for another six months. The Ministry of New & Renewable Energy (MNRE) issued the second phase of the CPSU Scheme for setting up 12,000 MW grid-connected Solar PV Power Projects by government producers with viability gap funding (VGF) support for self-use or use by government entities, either directly or through distribution companies (DISCOMS). The total 12,000MW capacity will be added in 4 years period from financial year 2019-20 to 2022-23.